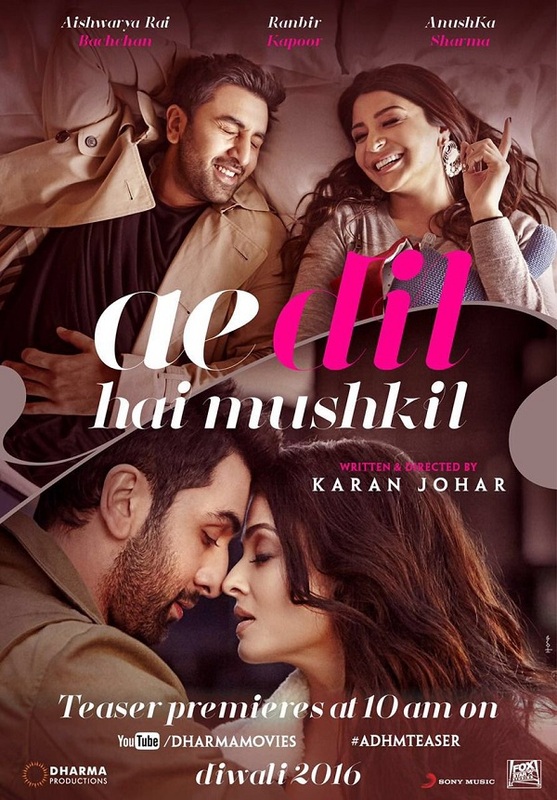 Ae Dil Hai Mushkil First Look Movie Posters. Total - 3. Teaser Releases Tomorrow. Here is three first look movie posters of much awaited Ae Dil Hai Mushkil starring Ranbir Kapoor, Aishwarya Rai Bachchan and Anushka Sharma. 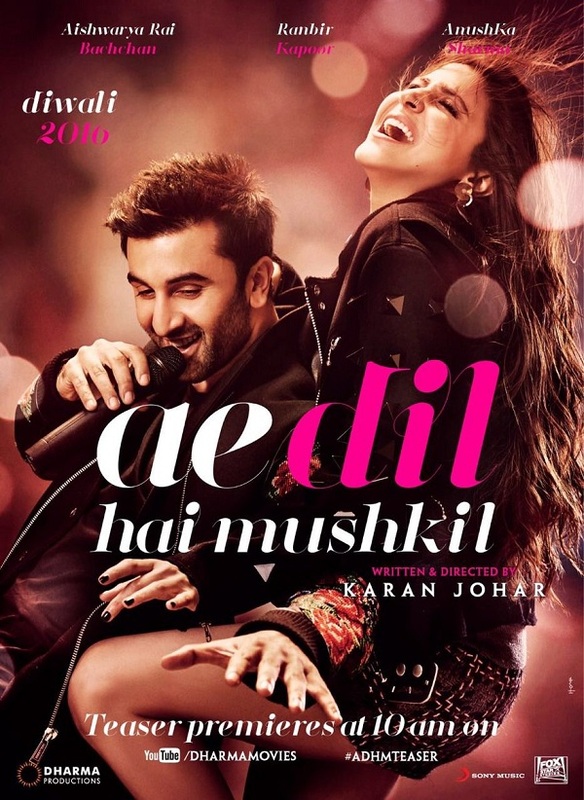 Ae Dil Hai Mushkil is one of the most awaited film of the year. Karan Johar is back as director with the film. Film is slated for release this Diwali and will have a titanic clash with another biggie in Shivaay. Ae Dil Hai Mushkil Teaser will be out tomorrow sharp at 10 am. Teaser of adhm is better than shivay trailer... Shivay big budjet film...disaster... Postpone shivay.... This diwali only #adhm boommm. Totaly bakwass & rubbish and trash teaser..nothing new..sure flop hogi..
this diwali only shivaay rocks & blast..